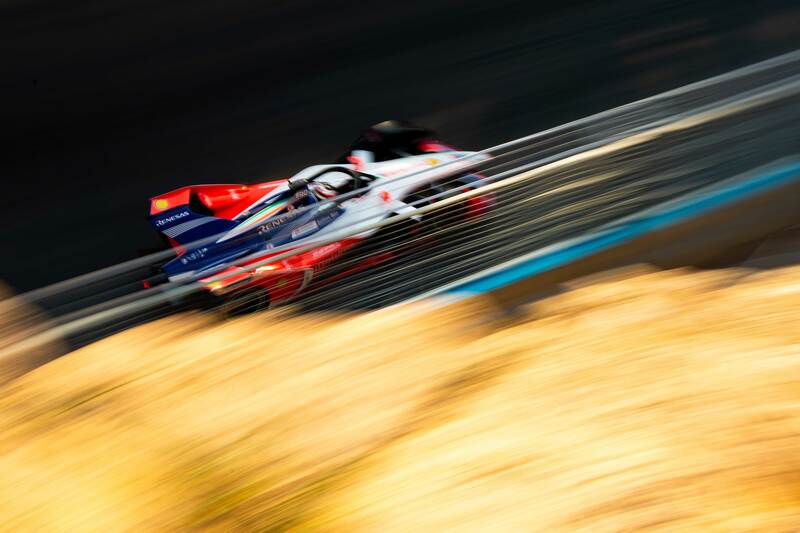 Felix Rosenqvist was forced to retire from the 2018-19 ABB FIA Formula E Championship opener at the Ad Diriyah E-Prix on Saturday, parking up with mechanical issues on his temporary comeback to the all-electric series. Triple Formula E race winner Rosenqvist, standing in for Pascal Wehrlein at Mahindra Racing for the first round of the new season, endured a difficult day in Saudi Arabia as technical gremlins halted him in both qualifying and the race. In an unlikely development, the day started off with the cancellation of the opening free practice session due to heavy rain in the desert location, with practice two also heavily delayed and compromised by the weather. The 22-car field thus moved into qualifying on the back of highly limited running at the all-new, challenging Ad Diriyah track, which continued to be wet in places as the grid-deciding session went green. Rosenqvist’s hopes of landing a strong starting slot would end with a bang when, entering the final corner on a lap which appeared good enough for the top five, his car suffered a mechanical failure which sent the Swede careering into the barriers head first, leaving him down in 17th on the grid. Once the race got underway, Rosenqvist made swift progress to move up to 14th on the opening lap and then overtake current DTM champion Gary Paffett and ex-Formula E champ Nelson Piquet Jr. to sit 12th by lap six. Rosenqvist’s day came to a premature end on lap eight, however, when he suffered the same mechanical failure that struck in qualifying – although this time he was able to undramatically park up his car at the side of the track. While Rosenqvist was forced to retire, the second Mahindra M5Electro of Jérôme d’Ambrosio finished on the podium in third place, handing the Indian squad a big result to kick off Formula E’s new Generation 2 era. With all of Rosenqvist’s 2018 commitments now completed, the Swede will return home over the Christmas holidays for some well-needed time off, before attention shifts towards an exciting move into America’s IndyCar Series – where Rosenqvist is set to join reigning champion Scott Dixon at Chip Ganassi Racing – in 2019.